St. Patrick’s Day is this week! 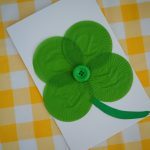 Being that we are Irish, this is one of our favorite holidays to enjoy as a family. But you don’t have to be Irish to get involved in the fun! 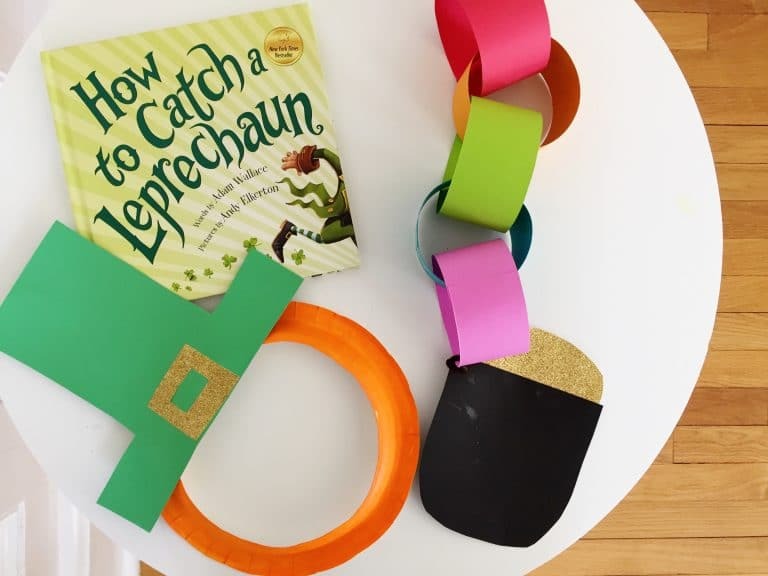 Grab some green, search for gold and do a little jig: it’s time for a wee bit of St. Patrick’s day fun! 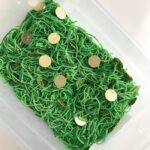 Today I am sharing some easy St. Patrick’s Day Snacks and Crafts for Kids. 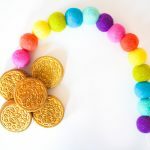 These are fun for classroom parties and also to enjoy at home. 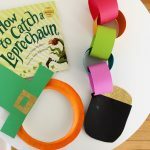 At the bottom of the post, there are some links to other great St. Patrick’s Day posts for kids: more crafts, books, facts about Ireland, facts about leprechauns, leprechaun masks and more! Directions: Follow the directions on the cake mix box to make the mini cupcakes. I baked at 350 for just 10 minutes for the minis. Remove from the tin and let cool. 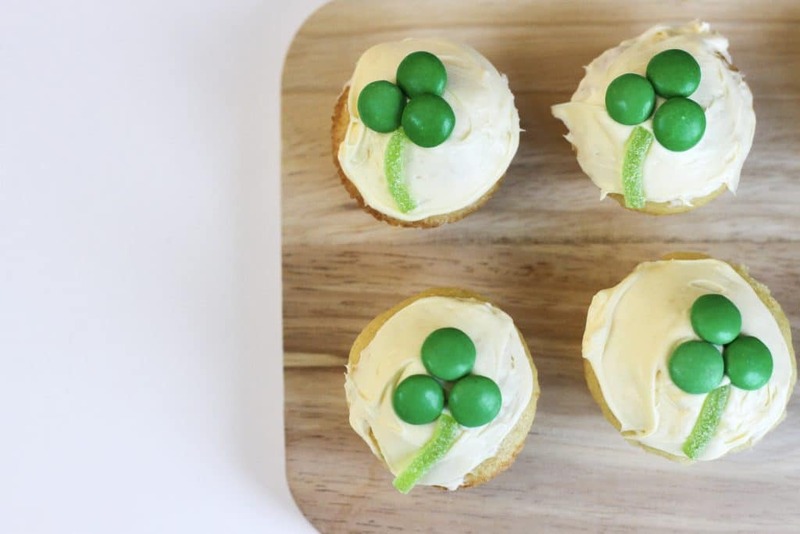 Frost the cupcakes and then use the M&Ms and Sour S’ghetti to make the little shamrock’s. I cut the sour candy into smaller pieces and placed those on first. Then I used 3 M&Ms per cupcake to make the shamrock. 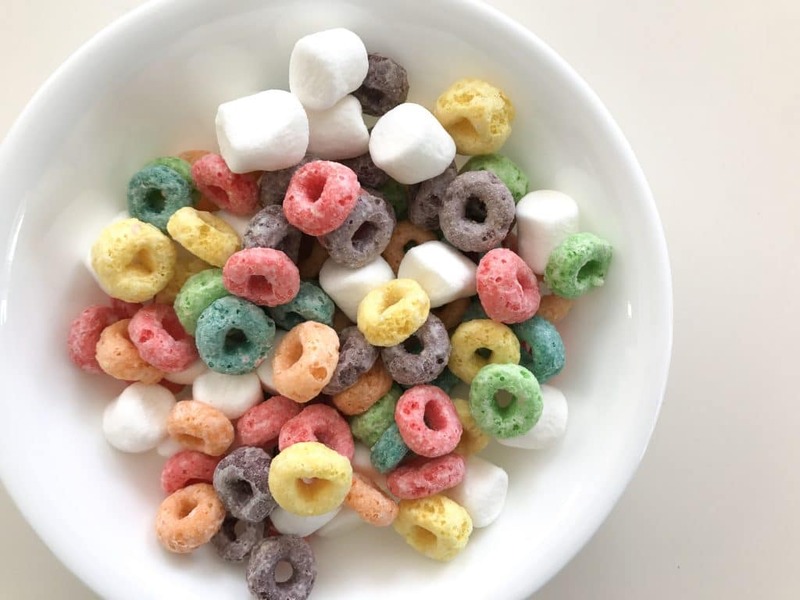 Directions: If you want to display this snack at a party, simply mix the fruit loops and mini marshmallows in a bowl. 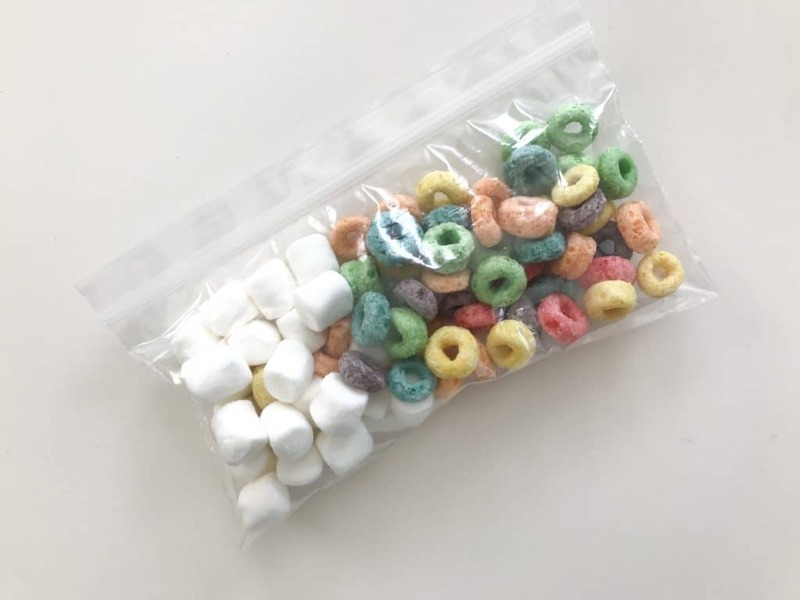 To hand out to kids in a classroom or at a party, make mini Rainbow Mix Snack bags by adding fruit loops and mini marshmallows to snack size zip lock bags. 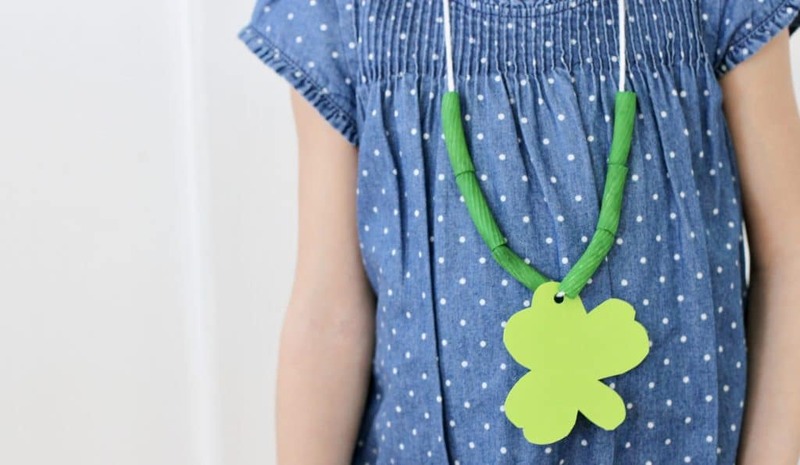 Directions: Pre cut the yarn for the kids and pre cut shamrocks out of the green paper and punch a hole in each one. 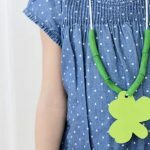 Tape one side of the yarn to the table and let them string the pasta beads and a big paper shamrock. Tie and enjoy! *Note: be careful with the string with little ones and also don’t eat the dyed pasta is you use our pasta dying method.